Review: Rich Hall – Pleasance Courtyard, Edinburgh. 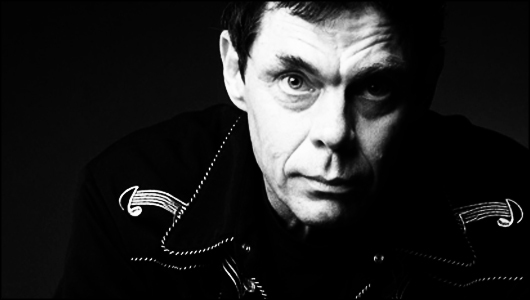 As the large sports hall hosting Rich Hall fills up on yet another sodden evening in Edinburgh, there is a massive sense of anticipation as we waited for a Fringe legend’s latest offering. Crabby, dishevelled and self-deprecating from the word go, Hall’s every word was hung on by a rapt audience. This sort of worship from a packed out auditorium is rare and built on years of delivering the goods. However it soon became clear that Hall is certainly not a man resting on his laurels, as he launched into his latest hour of comic brilliance. The former Perrier award winner has lost none of his hilarious vitriol; and from his position of an anglicised Yank he cracked on with doing what he does best and what we love hearing – highlighting the stupidities of his home nation. Pouring side-splitting scorn on the antics of Sarah Palin, The Tea Party, bumper stickers and the death of Bin Laden, Hall’s miserable sense of irony is a treat to behold. Nevertheless, having lived in the UK on and off for the last 23 years, it is not all one way traffic and there is as much audience joy when the boot is on the other foot. He isn’t afraid to highlight a few of our own quaint absurdities in comparison, even taking on risqué subjects such as Raul Moat and making them tragically funny. Two routines, one about our coalition government and how it could never work in the US and another about two politicians who recently both declared God had told them they would be the next US President, particularly stood out for their sharp political insight and their fantastic silliness. This was a tremendous show and one that, save for a weak musical number halfway through and a disappointing audience led song finale (that lacked the laughs and the spectacle to elevate it above average), would have gained 5 stars. These are minor foibles, though, with what is a stellar hour of stand up entertainment from a genuine icon of the Fringe.